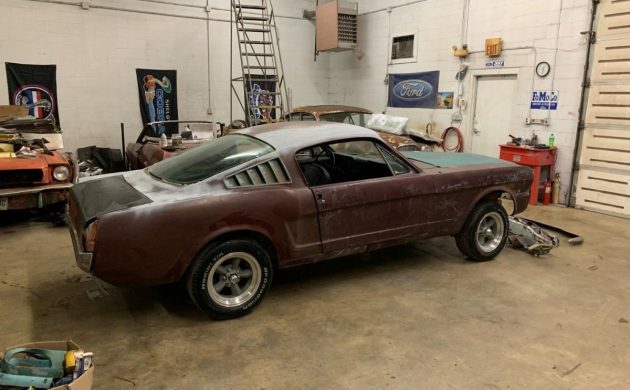 With the immense popularity of the Mustang, it seems not so common to find a K code fastback like this 1966 model. 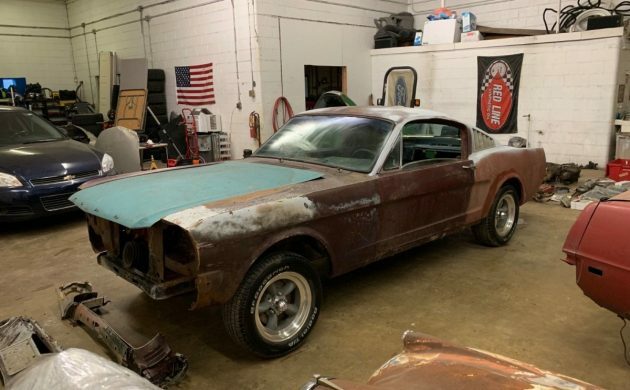 Quite solid and a great start for a restoration, this Mustang also comes with a plethora of parts. With less than a day remaining, bidding has risen to $9,877. Check it out here on eBay out of New Labanon, Ohio. While there is a 289 in the engine bay, it is not the original Hipo engine. Also the original rear axle is missing. 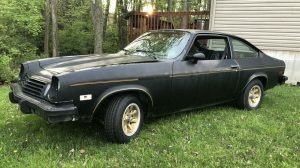 Despite a few missing items the seller is including a 4 barrel intake and carb, and many other great parts with this project. The sheet metal in the engine compartment is quite clean. As you continue to look over this car, the more apparent it is what a sharp start this would be. 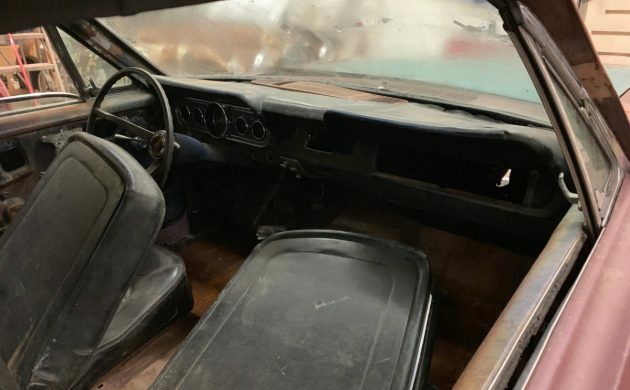 Partially outfitted with an interior, this Mustang is likely missing a few interior items as well. The floors have minor surface rust, and the floors have been replaced in the past. Previous weld work is evident, but isn’t the end of the world. The interior is loosely placed inside, and the glass is also loosely placed on the car. You will need a solid game plan for getting everything packed up and to your destination without damaging anything. Amazingly the trunk floor and frame rails are excellent. 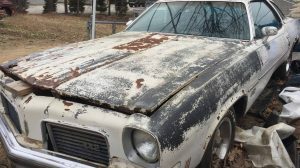 There is no apparent rot in this Mustang unless some is lurking in the rocker areas. The quarters have been replaced and need some finishing work to be complete. I see no major damage to the body, so I would think tidying up the quarters and performing some bodywork would have you on your way to the paint booth. 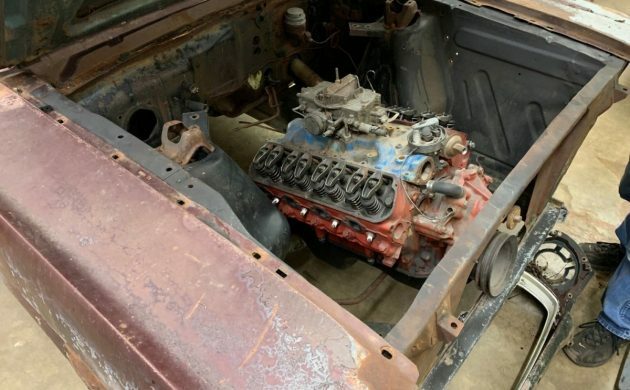 Being a factory 4 Speed Hipo K code car certainly makes this a worthwhile restoration, as I have seen many start off with much worse candidates that were not k code machines. As the auction winds down, what do you think this K code machine will sell for? $13,500, flipped and gone, that fast! 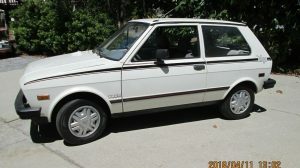 Never quite understood the “buy the cool wheels first” theory of restoration/modification. Maybe it helps give the owner a look at what they envision the future of their project. Without the K code engine the car is not any more valuable that any other 289 Fastback. 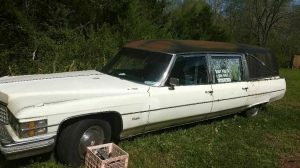 Me either….or the K code – but my dad couldn’t keep them for very long in his corral….he never really caught on – even when he started buying up the Fairlane’s around for re-sale. He was always a 6 cylinder stick kinda guy.